Madelon McCall, Ed.D., is a Clinical Assistant Professor in the Department of Curriculum and Instruction. Before joining Baylor in 2011 she was a public school educator, teaching chemistry and serving as a high school science instructional specialist. She presently teaches junior-level secondary science methods and generalist secondary education courses in the School of Education, as well as Integrated Science (ISCI) for elementary teachers through the College of Arts and Sciences. Dr. McCall is active in the Professional Development School (PDS) partnership and has served as a University Liaison to Midway High School since 2011. She also served as the Secondary Certificate Coordinator from 2012-15. Dr. McCall is especially interested in the recruitment and retention of quality STEM teachers and works with faculty across Baylor University to develop programs that attract students to the field of STEM education. Dr. McCall’s research is reflective of her diverse background as an educator. She is currently analyzing the effectiveness of co-teaching as a teacher internship model, a Baylor SOE/PDS initiative begun in 2015. Dr. McCall is also very interested in the science content preparation of elementary teachers. She was instrumental in proposing and gaining approval for a new science course that provides content preparation for elementary education majors to effectively teach K-6 science. Dr. McCall also developed the curriculum for that course, ISCI 2420: Chemistry and Life Science, first offered in fall 2015. Another ongoing research project involving junior teaching associates is providing data for determining how pre-service teachers perceive teacher effectiveness both before and after their teaching associate field experience. 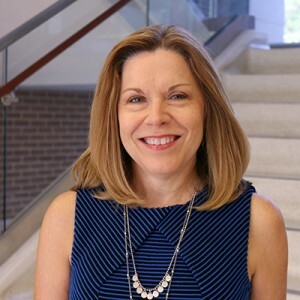 Dr. McCall’s association with Baylor School of Education and area K-12 schools allows her the opportunity to provide professional development, support, and mentoring for both pre-service and in-service teachers in the Waco area.